The China Desk enthusiastically supports the Democratic Action Alliance’s “Down with A Bian” protest movement. As readers of the China Desk know, I detest that abomination known as democracy. As I have explained in previous China Desk articles, I have reluctantly concluded that natural rights and political liberty will never be secure under a democracy, or even a constitutional republic. 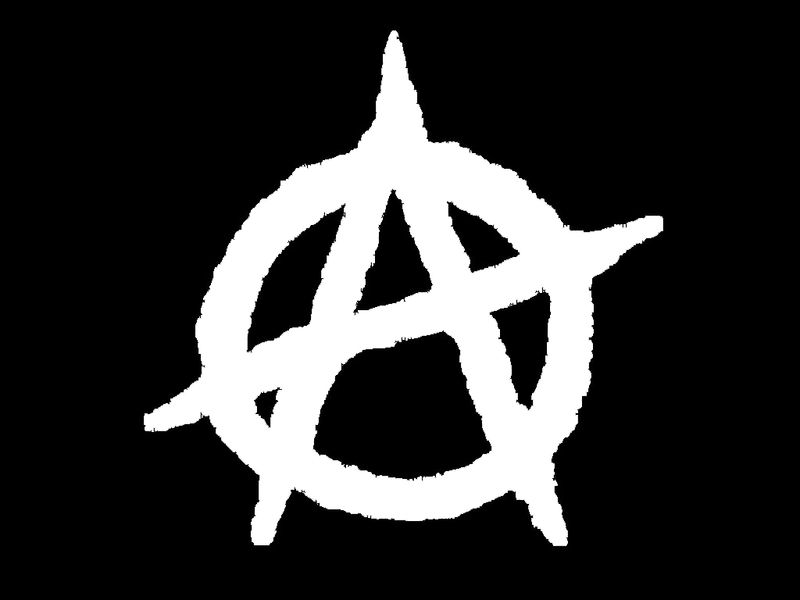 The natural rights and political liberty of individual human beings can only be secured under market anarchism, or some other political system structurally similar to market anarchism. A democracy, or even a constitutional republic, simply does not contain the necessary structural constraints to safeguard against creeping dictatorship. The problem with democracies, and even constitutional republics, is their territorial monopoly on the use of physical force. 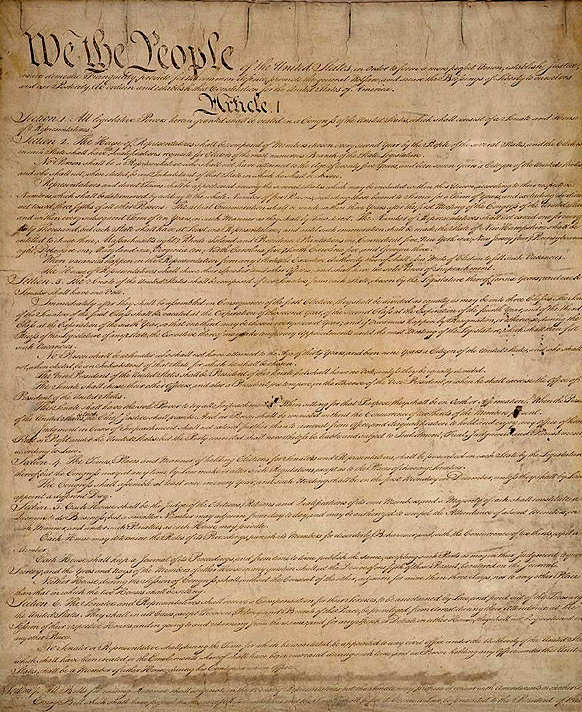 The most essential check and balance on the limitless expansion of government power, is the right of individual human beings to use physical force in defense of their life, liberty, and property. The moment individual human beings surrender this natural right to a political authority — any political authority — the game is already lost. The question then is no longer whether the individuals affected will lose their freedom. The question becomes when the individuals affected will lose their freedom. Market anarchists guard against this ever present threat to natural rights and individual liberty by categorically refusing to surrender the right to use physical force to any political authority in the first place. 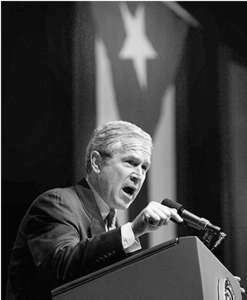 Chen Shui-bian understands this harsh reality of political power every bit as well as George W. Bush. Chen knows that 70% of the Chinese people on Taiwan want him to step down. Yesterday is none too soon. So why doesn’t he simply defer to “The Will of The People” and voluntarily step down? Chen will not voluntarily step down because he knows that a “democratically elected president” is not a “public servant,” but an absolute monarch with a four year term limit. When push comes to shove, military and police personnel will not obey their Bosses in Theory, i.e., the angry voters storming the barricades in front of the Presidential Palace, but their Boss in Fact, Chen Shui-bian. The bullets they fire at their Bosses in Theory, “The People,” on orders from their Boss in Fact, Taiwan’s little emperor, will be any but theoretical. They will be all too real. 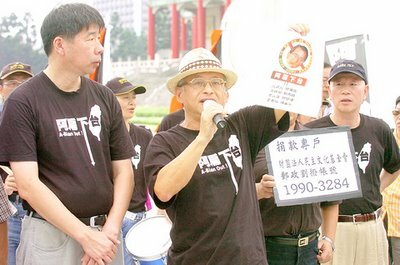 So why am I supporting the Democratic Action Alliance’s “Down with A Bian” protest movement? Because ridding Taiwan of a cronyist dictatorship is an eminently worthwhile short term objective that does not conflict with the promotion of market anarchism as a long term objective. Because if market anarchism is considered beyond the pale even in Europe and America, imagine how far beyond the pale it is on Taiwan. When even jaded intellectuals in “mature democracies” refuse to recognize that a paradigm shift from “minarchism” (minimal government) to “anarchism” (no government) is long overdue, imagine how difficult it is for fledgling democrats in “immature democracies” to question their newly adopted political faith. Because believers in democracy need to learn the hard way that democracy doesn’t work. Only then will they be emotionally and psychologically receptive to creative, unorthodox, “outside the box” alternatives such as market anarchism. I have to laugh. To me the distinction between “mature democracies” and “immature democracies” is a distinction without a difference. To me the term “mature democracy” is an oxymoron. A mature society would not tolerate a political system so crudely defective as democracy. To me the term “immature democracy” is a redundancy. If a society is “democratic,” it is a sure sign that society remains hopelessly immature. Intellectual mainstream commitment to democracy is not about rational deference to objective reality. Intellectual mainstream commitment to democracy is about mindless conformance to a collective delusion. Given that a critical mass of Republic of China voters remain convinced that “democracy” is the ne plus ultra of political systems, what is the dedicated market anarchist to do? Market anarchists must help the public in western bloc elective dictatorships, better known as “democracies,” to awaken from their collective delusion, the way the public in eastern bloc non-elective dictatorships awoke from their collective delusion in 1989. The ongoing Pan Blue attempt to topple Chen Shui-bian, belatedly joined by elements within the Pan Green camp, is an essential step on the long and painful journey toward genuine freedom. If the attempt to topple Chen succeeds, the Chinese people on Taiwan will enjoy a welcome reprieve from a corrupt demagogue who has nearly emptied out the nation’s coffers. If, on the other hand the attempt to topple Chen fails, the world will be one step closer to the complete and utter disillusionment that must precede a paradigm shift from minarchism to anarchism. The Frogs, unhappy that they had no established Ruler, petitioned Jupiter for a King. Realizing the Frogs were simple-minded and didn’t know what was good for them, Jupiter threw down a huge log. The Frogs were terrified by the splash the log made and hid in the depths of their pond. But once they realized the huge log did nothing but sit there, they began squatting on it in contempt. After a while they felt neglected by such an inert Ruler, and asked Jupiter to send them another, so Jupiter sent them an Eel. When the Frogs discovered the Eel’s easygoing nature, they asked Jupiter to send yet another. 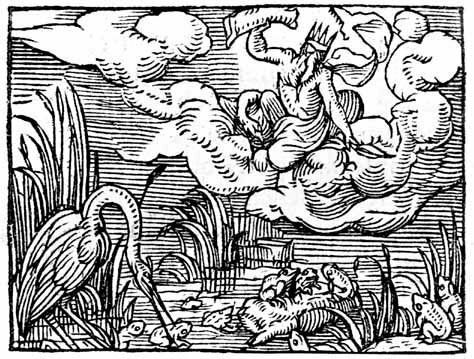 Jupiter, enraged by the Frogs’ ingratitude, sent the Frogs a Heron, who gobbled up the Frogs one after another, until none were left to croak upon the pond. We all know what the term “election fraud” means, conventionally defined. Election fraud means inflating one’s own vote count or deflating the opposition’s vote count during the ballot casting stage. One does this by stuffing invalid ballots into the ballot boxes, or by removing valid ballots from the ballot boxes and hiding or destroying them. Election fraud means inflating one’s own vote count and deflating the opposition’s vote count during the ballot counting stage. One does this physically by sleight of hand, or arithmetically by creative accounting. Election fraud means preventing eligible voters from voting even once, while enabling ineligible voters to vote twice, thrice, or even more times. One does this physically by naked intimidation, or legally by means of procedural obstacles. Election fraud, in short, means interfering with the election process so as to ensure that the final vote count fails to reflect the actual votes cast, or would have been cast in the absence of interference with the election process. 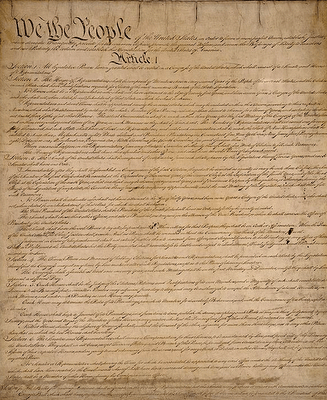 Democratic universalists, for whom democracy is a secular religion, and “free and fair elections” its holiest sacrament, would have us believe that granting citizens of a nation “the right to vote” safeguards their natural rights and individual liberty. 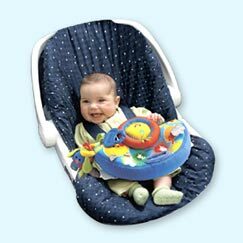 In fact, “the right to vote” is nothing more than one of those toy steering wheels mounted on infant car seats that give infants the illusion they are actually driving the vehicle. Democratic universalists decry “election fraud.” But at a deeper, more fundamental level, all elections are fraudulent, including elections that precisely reflect the number of votes cast. All elections are fraudulent because they delude the electorate into believing that the privilege of voting out Elective Dictator A and replacing him with Elective Dictator B means something. All elections, including “free and fair elections” in “advanced democracies” are fraudulent because they fail to provide the electorate with “public servants” who actually serve the public. In fact, they do the exact opposite. Elections turn the electorate into indentured servants of elected officials, physically coerced by the machinery of government — tax collectors backed up by armed police — to support the elected official against the electorate’s wishes. Elected officials are commonly referred to as “public servants.” Elected officials, ostensibly, are servants whom the electorate hires and fires at its discretion. An American president, elected in accordance with America’s presidential system, is for all intents and purposes, an emperor. An elective emperor, but an emperor nonetheless. What is the presidential inauguration ceremony but a coronation? What is the White House, but the royal palace? What are Air Force One, Marine One, and the bulletproof black Cadillac limousines, but royal carriages? What is the US Secret Service but the Praetorian Guard? The last time you hired a servant, did you commemorate the event with an inauguration ceremony? The last time you hired a servant, did you provide your servant with a stately mansion more spacious than your own tract house? The last time you hired a servant, did you provide your servant with a chauffeured limousine more luxurious than your own aging subcompact? The last time you hired a servant, did you provide your servant with armed bodyguards, with orders to shoot anyone who approached without permission, including you? Then let’s not kid ourselves. Elected officials are not “public servants.” They are our Lords and Masters. The widespread belief that our relationship with our “public servants” is the same as our relationship with our servants in the private sector is pathetic self-delusion. When we elect a president, we are like the Frogs in Aesop’s ancient yet prescient fable, “The Frogs ask for a King.” Not content to enjoy our precious freedom, we foolishly demand “good government.” We foolishly demand “democracy” and the right to vote ourselves into servitude and oblivion. In fact the alternative is right under our noses. The alternative is to learn from the Frogs, from their fatal assumption that they needed a Ruler, hereditary, elective, or otherwise. 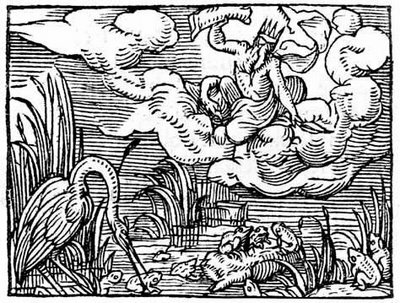 The alternative is to realize that We the People, aka the Frogs, never should have petitioned Jupiter for Herons, Eels, or even Logs in the first place. We don’t need them. Never did. The alternative is to realize that the right to choose which Heron will gobble us up is not a hard-won prize, but a booby prize. Democratic universalists concerned about “election fraud” are Frogs who worry about whether Jupiter is sending them the Ruler they asked for. Because I have been busy caring for a family member who suffered a broken right arm, I have been unable to post as many articles as usual. Once my family member’s serious but not life-threatening injury improves sufficiently, the China Desk will return to its normal 1-2 article per week publication schedule.